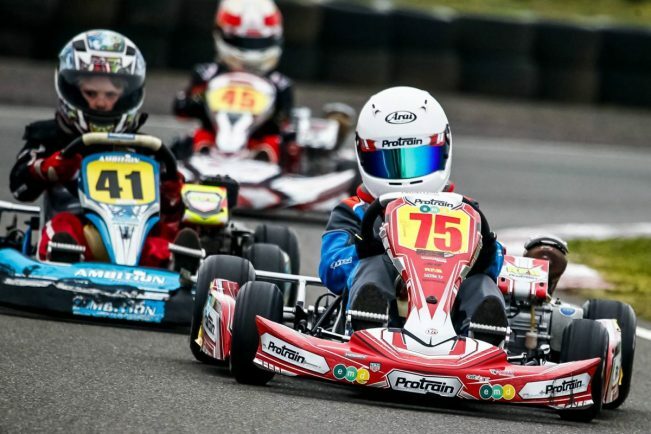 Harrison Morrow (right) in action during round two of the Shenington IKR Series. Pictures by Sprocket Photography. 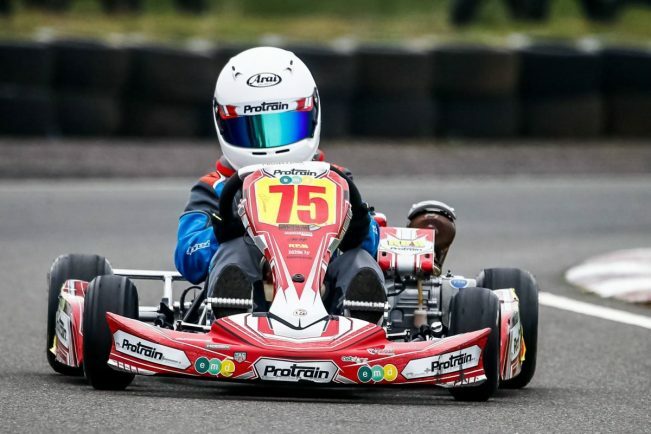 SOLIHULL racer Harrison Morrow experienced a turbulent, but ultimately productive weekend in round two of the Shenington IKR Series. 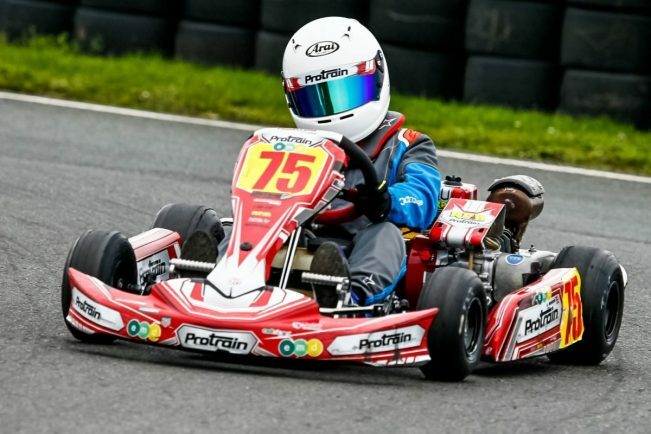 A weekend of dry, consistent weather helped Harrison find his form, despite incurring a number of technical faults and being involved in a few incidents on the track that halted his point scoring. Saturday’s practice ended abruptly for Morrow, when a wheel worked it’s way loose and damaged the wheel hub on the kart. 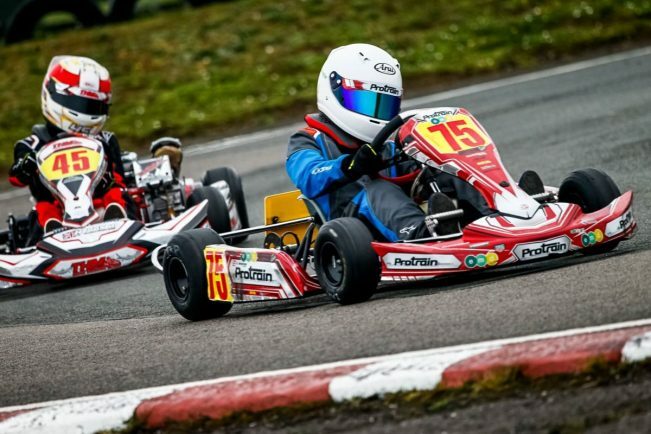 After some modifications, Harrison was back out on the track and found a solid groove to rank as the fourth fastest driver in his class. Race day brought colder weather but similarly dry conditions, which allowed the driver to find a good pace, achieving a fourth fastest lap time in qualifying. Some bad luck struck when a new driver to the grid malfunctioned with a starting procedure, subsequently forcing a number of drivers to move out of position. Despite the setback, Morrow pushed on and fought to finish in sixth place in the opening heat. Heat two was more straightforward, with Morrow again finishing sixth. The final heat prompted Morrow to push for fifth spot after a good start, setting his fastest lap in the process. Then disaster struck, as a rear tyre blew at the final corner, spinning his kart to a halt and resulting in Morrow finishing last. From examination, the rear wheel hub had worked loose and allowed the tyre to rub against the chain guard, resulting in the blown tyre. 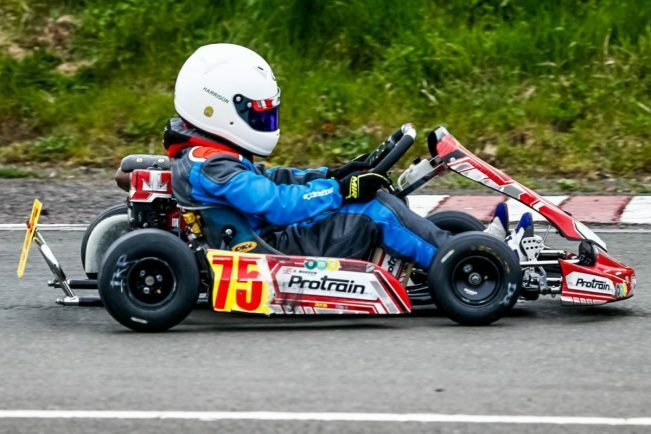 Harrison’s team, Protrain, were determined not to let the damage affect the promising results over the weekend, and sought to get Harrison through the final race. After a number of repairs, Harrison was instructed to go and do his best despite being hindered by the damages. And despite a poor start, he did exactly that, finishing seventh to complete the weekend. 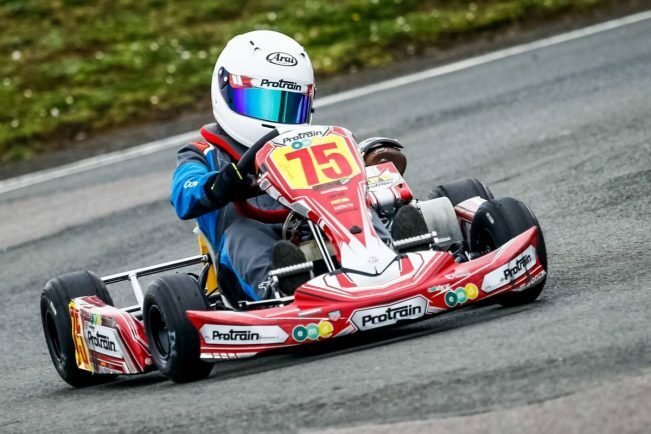 It leaves Harrison feeling a lot more confident after dealing with a number of setbacks, and stands him in good stead for the big meet at Shenington over Easter.